We first heard about the Nokia T7-00 a week ago. It was the first device carrying a T, marking a whole new series of Nokia phones, but with no pictures, we could only guess the actual specs of the handset. 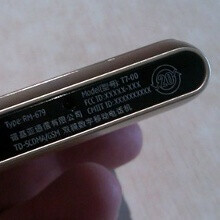 What we knew is that it was listed with a resolution of 360 x 640, standard for Nokia's higher-end devices. 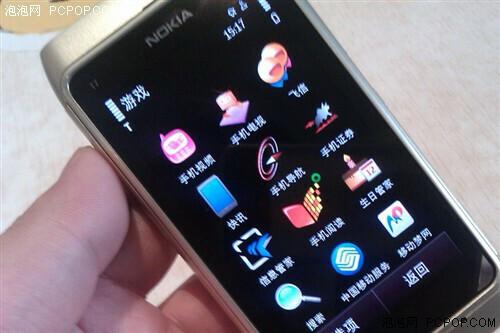 Now, you can take all the time you need to inspect the T7-00, looking much like a downgraded Nokia N8 on the pictures below, courtesy by PCPop. The list of changes isn't too long as the 12-megapixel shooter on the N8 has been downgraded to 8 megapixels and Nokia has replaced the Xenon flash with a dual-LED unit. The camera might even turn out to be of the fixed-focus (full focus in Nokia's terms) kind, which is far from welcome news for photography enthusiasts. The HDMI port hidden behind a cover has also been changed for a microUSB one. On the positive side, the CPU has been given a 20MHz of additional clock power. If for some reason you've been waiting for such a model, you might be disappointed to find out that the pentaband radio has also vanished, replaced with China's TD-SCDMA on the T7-00. Does this mean that the T in the model numbers is somehow related to China's network? 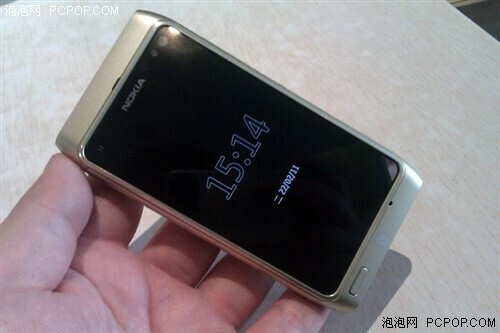 We can only guess, but Nokia's April 12th event promises to uncover all Symbian cards that Nokia has up its sleeve. And those might just turn out to be the last ones when it comes to higher-end phones, so stay tuned. 360 x 640 is the standard for ALL current Nokia touch enabled smartphones. Even the cheapos like the 5230 Nuron have it. So, while not that great for mid tier and high end devices, it's actually better than what most other manufacturers have at the low end, which tend to use 320x480 HVGA screens.